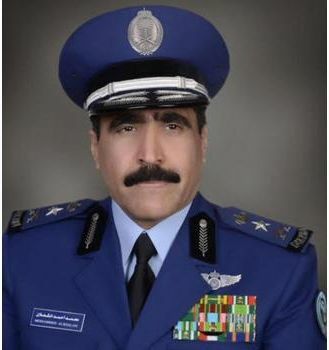 The Saudi Air Force Commander Lt. Gen. Muhammad bin Ahmed Al-Shaalan was killed in a Scud missile cross-border attack by Yemeni Houthi rebels on the big King Khalid Air Base at Khamis Mushayt in the southwestern Asir region of Saudi Arabia, debkafile reports. The attack took place on June 6, but his death was concealed under a blanket of secrecy until Wednesday, June 10. The largest Saudi air base, it is from there that the kingdom has for last two and a half months waged its air campaign to end the Yemeni insurgency. Saudi and coalition air strikes, directed against the Iranian-backed Houthi rebels, their allies from the Yemeni army and from local tribes, have killed an estimated 2,000 people, some of them civilians, including women and children. No information was provided about the nature of his putative “working trip,” its destination and purpose – or even the date of his funeral. Our military sources report that the Houthis’ Scud attack caught the Saudis unawares. The only reaction from the air base came from the American teams operating Patriot counter-missile batteries. They tried to shoot down the incoming missiles and managed to intercept only two or three out of a barrage of 15. The US has deployed Patriots at Khamis Mushayt to shield the special operations units and drones fighting Al Qaeda in Arabia (AQIP). But since the start of the Yemen civil war, American drones have been feeding the Saudi Air Force with intelligence about Houthi targets and movements. The Yemen assault on the Saudi air base represented a major escalation in the Yemeni war, with effect on the complex US relationship with Iran in the context of the Yemen conflict. debkafile’s military sources assert that the Houthi Scud crews undoubtedly received precise data from Iranian intelligence about the whereabouts of Gen. Al-Shalaan and his top staff on the day of their attack. With this information, they were able to time their attack for 3 am before dawn and target the base’s living quarters and aircraft hangars. Tehran most likely put the Houthis up to the Scud attack, both to damage the base from which air strikes are launched against them and as payback for the intelligence US drones are providing for those strikes. Riyadh concealed the circumstances of the air chief’s death to avoid affecting the morale of Saudi combatants taking part in the Yemen war. The Obama administration also had in interest in drawing a discreet veil over the incident so as not to jeopardize the nuclear negotiations with Iran as they enter the final lap before the June 30 deadline.